Hilde and Jean-Luc, pack for a purpose travelers who stayed at The Cavern, brought supplies which were greatly appreciated by the Royal Drakensberg Primary School, a small independent school situated in the rural area of the Northern Drakensberg, kwa-Zulu Natal. The school opened in 2007 with 11 learners and has grown to 58 children through Grade 6. 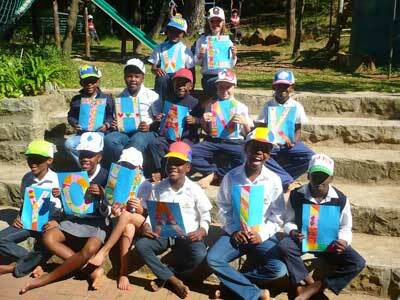 The school is a beautiful microcosm of South African society, catering for a wide range of backgrounds and abilities.